A senior police officer in Kerala was allegedly caught copying at the Master of Laws (LLM) examination held at St Paul's College in Kalamassery, Kochi, on Monday. Inspector General of Police, T.J. Jose was allegedly copying from torn pages of guide books when the invigilator caught him. The invigilator thereupon proceeded to seize his answer sheets, along with the pages of the guide book from which he was copying, and immediately asked him to leave the examination hall. Local news sites report that the invigilator concerned was not aware of Jose's identity when he was caught red-handed, but only later, when he checked Jose’s registration number on the answer sheet that he came to know that it was none other than the Inspector General of Police, Thrissur. The College authorities have reportedly decided to recommend to the Mahatma Gandhi University, which had been conducting the LLM examination through the distance education module, to debar him. Jose has, however, refuted the allegations, saying he was not caught cheating and he had left the exam hall only after answering all the questions. Director General of Police K.S. 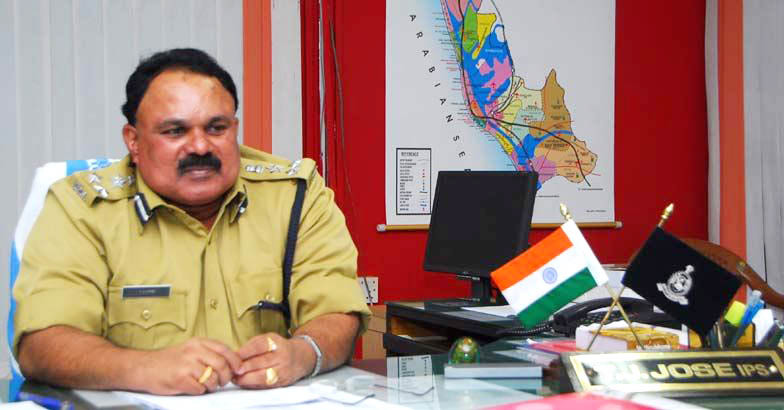 Balasubramanian has however confirmed the incident which will now be probed by the Additional Director General of Police (North Zone) Shankar Reddy who has been asked by a highly embarrassed state Government to submit a report immediately. The Vice-Chancellor of the Mahatma Gandhi University has also asked the University’s Controller of Examinations to submit a report in the incident. This incident which has caused considerable embarrassment not just to the state government but also the state police department, brings to mind a strikingly similar incident of the year 2010 when five judges belonging to the subordinate judiciary were suspended by the Andhra Pradesh High Court for allegedly copying while writing their LLM exams at the Arts College of Kakatiya University in Warangal.